The New Year is upon us. How can this be? Seems like this year has flown by in the blink of an eye. It is a time of reflection for the year that is fastly coming to an end. 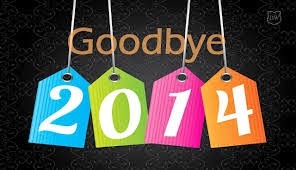 It is also a time to consider what things that we hope the New Year will bring. 2014 Has been the best year of my life. It was a year that I finally got what my heart desired. If you know my husband and I, then you know of our long journey to have a child. 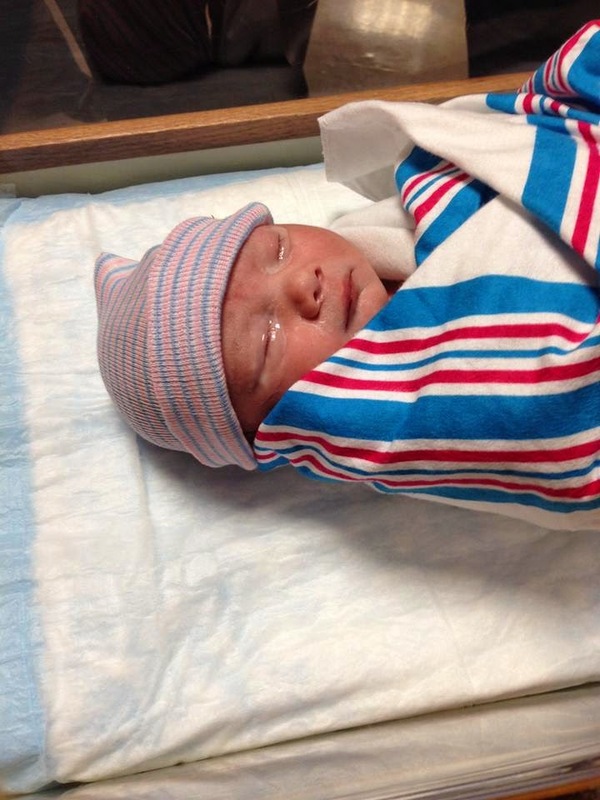 The Good Lord Blessed us to have Raylan and we couldn't thank him enough. I have also been blessed to be a Stay At Home Mom. I don't know how long this opportunity will last but I will forever be grateful for this chance that I've had. I started this incredible journey called blogging in 2014. I have enjoyed it so much. I have met amazing friends and learned so much through blogging. 2014 has brought so many wonderful things but there has been challenges as well. For instance, my dad has been very sick this year . We have also had the constant fear of my husband losing his job with the coal industry. But all in all, we still have so much to be thankful for. I would love to hear from you. What are some of your goals for the New Year? Thanks for Reading! 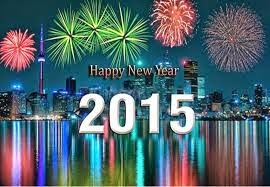 I hope everyone has a safe and Happy New Year! God Bless You! So with Christmas being over, something has just hit me hard. The realization that I have an almost 1 year old is very overwhelming. Where has the time gone? It seems like I just had Raylan yesterday. February 20th our baby will no longer be a baby but a toddler. This can't be happening! Time flies by way too fast. This year has flown by quicker than any year that I have ever had. I'm so proud of our little man. He is so smart and funny. There is never a dull moment with him. He is dramatic lol. He fills my heart with so much joy. Being his mom is my greatest accomplishment. I can't believe it's time for birthday party planning. I wish I could keep him little forever and protect him from the big world. No matter how big he is, he will still always be my baby. 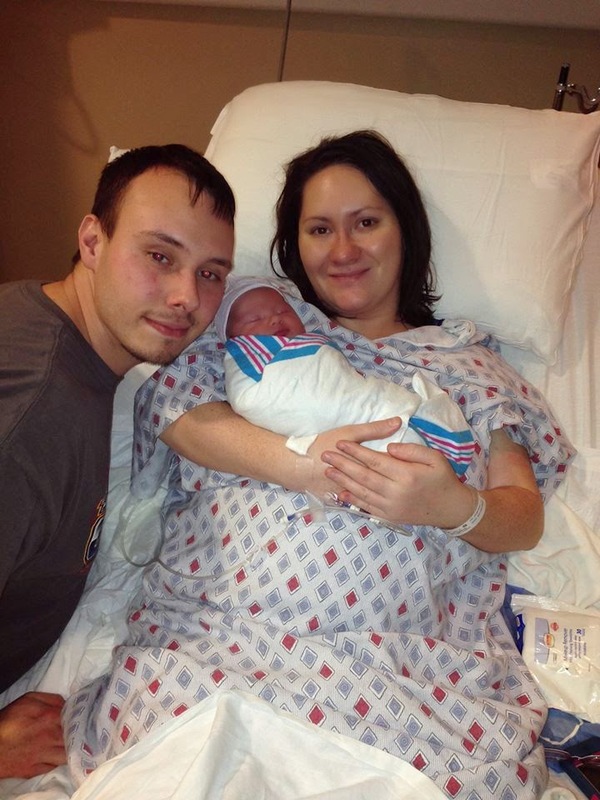 Mommy and daddy love you very much Raylan. We are so blessed to have you! You make us so proud! Now it's time to get in full party planning mode!!! Christmas is my most favorite time of the year, even more so now that I have Raylan. This is his very first Christmas so I am beyond excited. Christmas time has also been a fun time now that I am blogging. I have taken part in so many fun things for Christmas with blogging including the card swap with The Sequin Notebook. You certainly need to be following their blog. It's always so much fun to read. I was paired with Jill from Doused in Pink. She blogs about fashion, fitness, food, DIY and decorating. 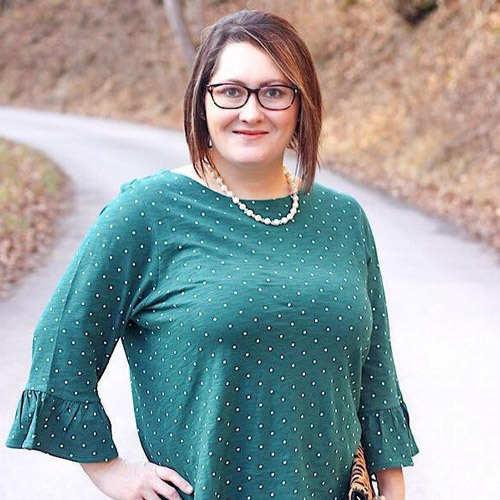 You can find anything from budgeting to recipes on her blog as well. It's pretty awesome. You should definitely check it out. Here is the lovely card that she sent me. The ladies hosting the card link-up sent me a card as well. It looks like they had so much fun doing their photo shoot for their card. I love it! They were so creative. Here is our card for this year. I wanted to do a photo card since we have Raylan. He makes Christmas and all of the holidays so much fun. I have enjoyed getting to know everyone through blogging and can't wait to see were blogging takes me. I look forward to meeting many more friends through blogging. Merry Christmas Everyone and God Bless You! Today I'm guest blogging over at Chasin' Mason as part of Elizabeth's continuing series #BOYMOMS. If you're visiting from Chasin' Mason, welcome! 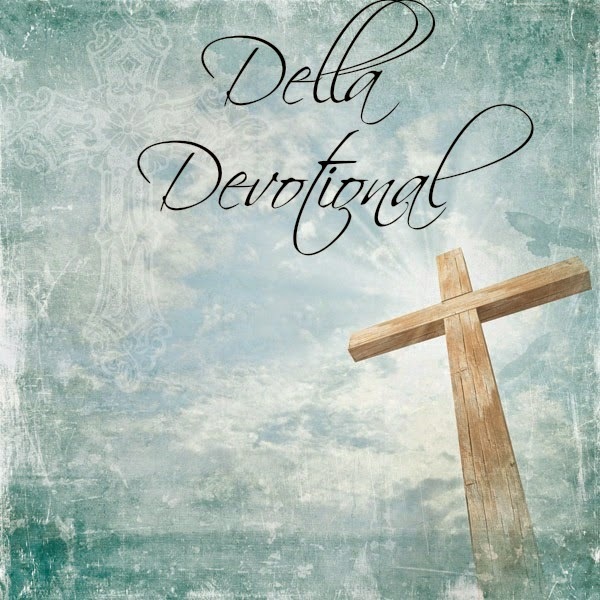 And if you visit Della Devoted quite often, I hope you'll hop on over to Chasin' Mason to check out my post and Elizabeth's blog. 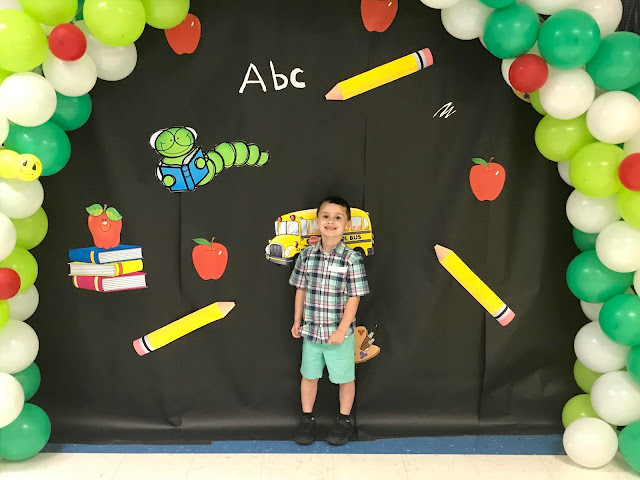 Here you will read about my experience finding out that I was having a little boy as well as what to expect when you are a boy mom. Rejoice, you who feel that you are lost; your Savior comes to seek and save you. Be of good cheer you who are in prison, for he comes to set you free. You who are famished and ready to die, rejoice that he has set aside for you a Bethlehem, a house of bread, and he has come to be the bread of life to your souls. Rejoice, O sinners, everywhere for the restorer of the castaways, the Savior of the fallen is born. Join in the joy, you saints, for he is the preserver of the saved ones, delivering them from innumerable perils, and he is the prefecter of those he preserves. Jesus is no partial Savior, beginning a work and not finishing it; but, restoring and upholding, he also prefects and presents the saved ones without spot or wrinkle, or any such thing before his Father’s throne. Rejoice! Let your hills and valleys ring with joy, for a Savior who is mighty to save is born among you. Devotional was found here. It was too good not to share. Jesus is the true meaning of Christmas.. I have been crafting away lately. I've slightly been obsessed with making my own things lately and some of those things have been Christmas Ornaments. I have made 3 Ornaments that I thought I would share with you. They are so easy and fun to make and they hold such a special meaning to my heart. The 1st Ornament on the left is a Salt Dough Hand Print Ornament. 1/4 Cup Water (give or take) Knead until dough forms. Make Impression and cut out hand shape with a knife leaving a border. Poke a hole in top for hanging. Bake at 200 degrees for 3 hours. Paint to look like Santa, Seal and it's ready to hang. All you need is a clear plastic ornament which is 96 cents at Walmart and your baby's newborn hat from the hospital. Just insert the hat into the ornament. It's so simple to make and it's a great way to preserve your baby's hat. The 3rd ornament on the right is a memorial ornament that I made of my mom. All I did was pour sugar about midway into the ornament to make it look like snow. Then I inserted a wallet sized photo into the ornament and made sure it stuck in the sugar. To do this, I rolled up my photo to were it would fit into the ornament vertically. I then took a pair of tweezers to unroll the ornament once it was inside. Once I got the photo situated to my liking, I then put the top of the ornament back on and tied a Christmas ribbon around it. I'm so pleased with how these turned out. It's a cheap way to decorate your tree or you can make these as gifts. I like the fact that they are homemade and have such a wonderful meaning to them. Have you made any ornaments for Christmas as decorations or gifts? This has been the longest week that I have ever seen. Not to mention, that I am worn out from Christmas shopping. I seriously do not want to shop or see another Walmart any time soon. Anyway let's get to my favorite highlights of the week. 1) I have went into baking and crafting overload this week. A lot of my gifts are baked and homemade crafts. This is my favorite part. I love making things. 2) I linked up with Caitlin @Coffee With Caitlin to do a Santa Cookie Platter. It was so much fun. 3) Raylan had his first Christmas play last night. I'm so proud of my baby. He did so well. He was the cutest Donkey that I have ever seen. Raylan and his friend Mason after the Christmas play. Mason was such an adorable little cow. 4) Raylan saw Santa for the first time last night. Santa was at church after the Christmas play. I expected Raylan to pull his beard but all he did was just pet on Santa. He was overlooking the damage that he had done. Sigh. But since he has been crawling I have lost 4 pounds Yay! Well that's a wrap for this week...I hope everyone has a fantastic weekend before Christmas. Try not to let all of the festivities wear you out. God bless you all! Are you ready for Christmas? I'm almost ready. I still have a little shopping left to do and many projects that I need to get finished. I recently finished a project that I have been wanting to do for quite sometime. I have linked up with Caitlin @Coffee With Caitlin to bring you a project that we have been so excited about. It is a DIY Santa Cookie Platter. Every child wants to leave a plate of cookies for Santa and a letter to go with it so why not combine the two. Don't forget to head over to Caitlin's blog to see what she has made as well. So how did I do this? I took the Sharpies of my color choice and start decorating. 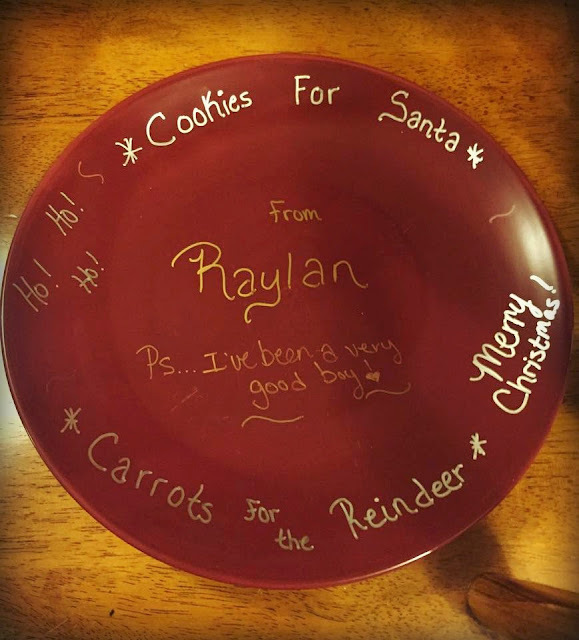 I wanted to put a Christmas theme to it of course, so I just started out with the saying "Cookies for Santa and Carrots for the Reindeer." I then added Merry Christmas and Ho Ho Ho because those are Santa's favorite sayings. I thought this looked good but I wanted to personalize it a little bit more so in the center of the plate, I added From Raylan and Ps...I've been a very good boy. Santa had to know it was from Raylan, Right? 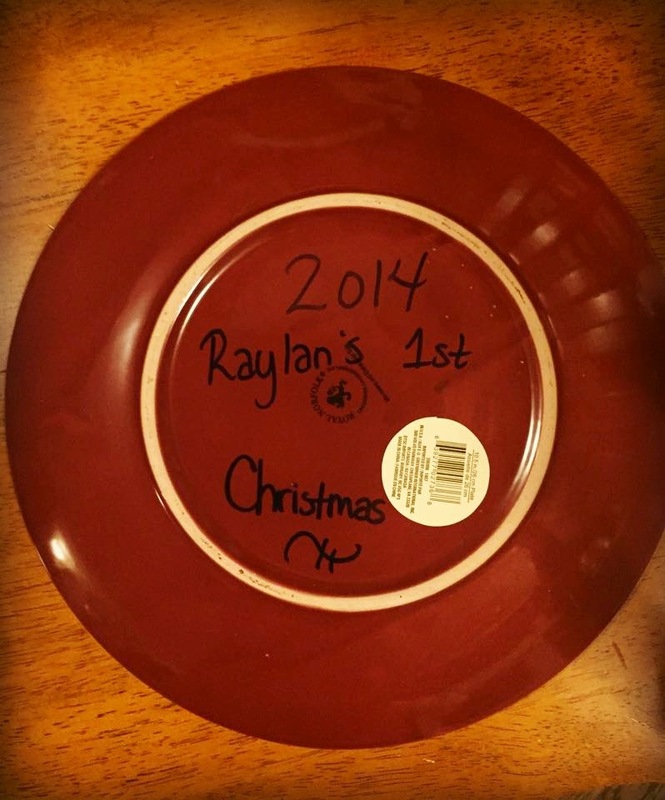 On The back I made sure to add the year and to put Raylan's 1st Christmas. Once I was finished, I baked it on 350 degrees for 30 minutes so that the Sharpie would stay on. This ensures that the sharpie won't rub off on cookies or any other food that you might use, It also makes sure that it won't wash off. It is perfectly safe to eat from and it is a keepsake that will last for many years. Please note that metallic sharpies are best to use because they really show up on dark surfaces. I really enjoyed making this Santa Cookie Platter. I wanted a keepsake of Raylan's 1st Christmas and something that I could use time and time again. This was the perfect choice for me. 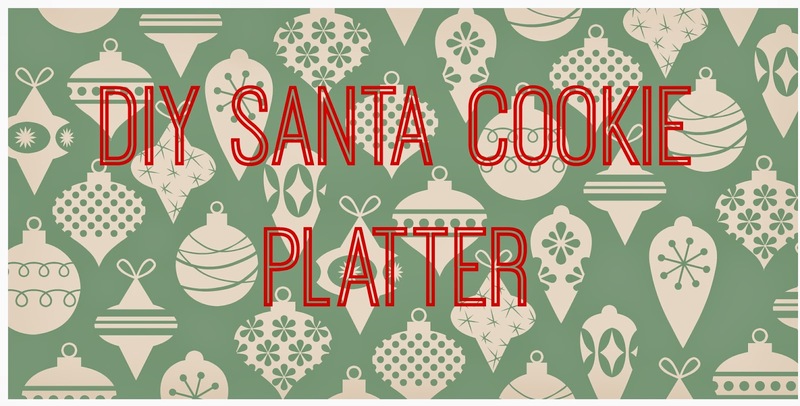 Don't forget to stop by Caitlin's Blog to check out her Santa Cookie Platter. She is so crafty and always makes the cutest things. Cane- Is like a staff used by Shepherds in caring for sheep. Jesus is our "Good Shepherd". It's that time of year again for all things Christmas. I have been crafting and working frantically to finish all of my Christmas decor. There are so many projects that I want to do but I simply do not have the time. Christmas is just right around the corner. I can't believe it is less than two weeks away. Anyway, I have had my eye on a Candy Cane Wreath for quite some time and finally decided to give it a try. My dad and I sat down and made this in less than an hour and I absolutely love it. It's too cute! 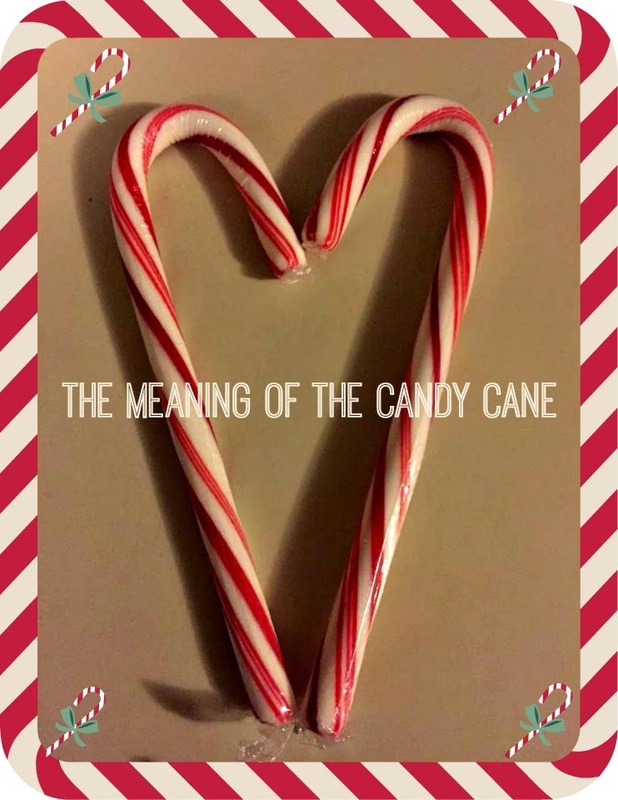 ~Make several candy canes into the shape of a heart. Hot glue the centers of the heart together and the bottom of the heart together. Next, Glue the hearts back to back as shown above. Keep going until you have made a full circle and you can't fit anymore candy canes into the circle. Some may overlap but that's okay. Then, put a snowflake ornament in the center of your wreath. Last, put your mini ornaments all the way around the wreath and glue your ribbon on so that you can hang the wreath up. What do you think? My dad is also crafty like me. I take it after him. We had so much fun making this wreath. I like the fact that it is different from your average wreath and it's super cheap and easy to make. Are you making any unique wreaths for Christmas? Is it just me or has this week seemed to drag by. Everyone in my family has been sick including the hubby so I have had my hands full. Anyway let's get to it. 1) I have been working on several different projects for Christmas this week so be prepared for lots of Christmas blog posts. 2) Raylan is going to be in our church Christmas play next week. He got to wear his costume at play practice the other night. Isn't he the cutest Donkey that you have ever seen? 3) I signed up for Tis The Season Mug Swap with Caitlin@Coffee With Caitlin and Katie@Cup of Tea. I was partnered with Beth@Adventures With B. Here is what Beth sent me. I love it! I received an adorable mug along with a beautiful card and a Starbucks gift card. I was so excited! Thank you so much Beth! 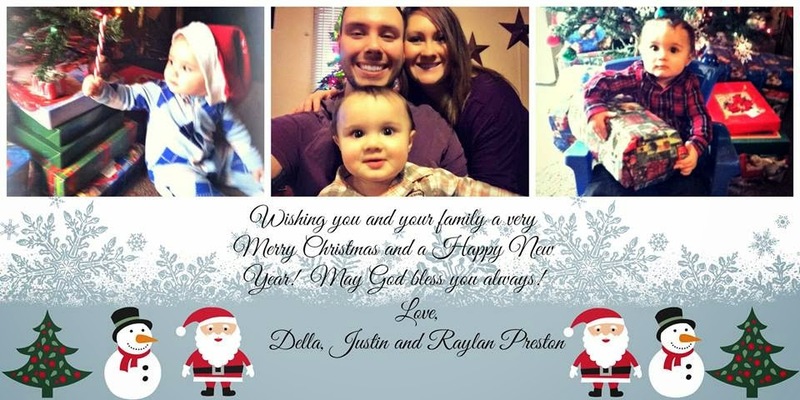 4) Since Justin has to work most Saturdays this month, we won't have time to have our Family Christmas pictures made. However, Justin did buy me a camera and gave it to me as an early Christmas gift. So, I toyed around with it and did my best at our own family Christmas picture. It's not professional but I think I did okay. Have you ever wondered why It's so easy to have faith when things are going good but when they start to go south it's not so easy? It's easy to trust God and thank God for his blessings when things are going our way. When things are going badly we begin to doubt. We wonder if God is ever going to come through for us. Here are some verses on faith that we need to heed to. I myself am terribly guilty of having little faith when there is a rough patch. Why do I do this? God has always brought me through the storm. There is a reason that we go through the things we do. God knows what he is doing, He will never leave us or forsake us. He is still there in the midst of the storm. We may not feel him, but he is still there. We need to have stronger faith and I guarantee if we do, we will see a big difference in how much better our lives are. Let's choose this day to have more faith and putting our trust in God. He knows what is best for us. He see's the big picture! TGIF! This has been such a long week. The hubby started second shift, so Raylan and I don't get to spend much time with him like before. That makes for a very long week. Raylan and I have also been under the weather but anyhow the show must go on. Let's rewind. 1) On Saturday, Justin and I went out to dinner and a movie. We watched Horrible Bosses 2. It was hilarious. I thought it was better than the first one. 2) On Sunday, Our good friend Tif from Bright On A Budget stopped by. It's always nice catching up with her. We don't get to see each other very often but when we do, there is plenty to talk about. 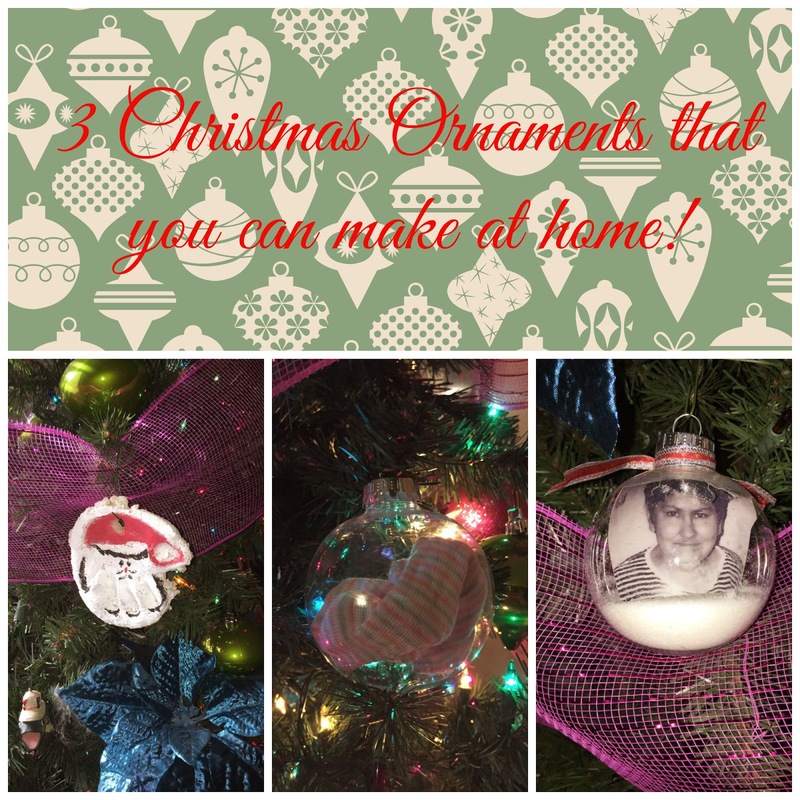 3) I received my first Christmas Ornaments from the #Christmas #OrnamentExchange that I held here on the blog. Thanks to all who participated. It was so much fun!!! 4) The hubby gave me an early Christmas present...I'm so in love with it! 5) As of Today, Raylan is now crawling! My baby is growing up way too fast but I'm so proud of him. As some of you may know, my dad has been pretty sick lately. He has had a rough couple of years. One illness has led to another. It has really taken a toll on him and the rest of the family. Over the weekend, he didn't feel good at all. I figured I would find some scriptures on sickness. We need the uplifting and I'm sure you could use it as well. Psalm 30:2 - O Lord my God, I cried unto thee, and thou hast healed me. Luke 17:15- And one of them, when he saw that he was healed, turned back, and with a loud voice glorified God. James 5:15- And the prayer of faith shall save the sick, and the Lord shall raise him up: and if he have committed sins, they shall be forgiven him. Mark 1:31- And he came and took her by the hand, and lifted her up: and immediately the fever left her, and she ministered unto them. Isaiah 53:5- But he was wounded for our transgressions, he was bruised for our iniquities: the chastisement of our peace was upon him; and with his stripes we are healed. 2 Corinthians 12- And he said unto me, My grace is sufficient for thee: for my strength is made perfect in weakness. Most gladly therefore will I rather glory in my infirmities, that the power if Christ may rest upon me. Jeremiah 30:17- For I will restore health unto thee, and I will heal thee of thy wounds, saith the Lord; because they called thee an Outcast, saying, This is Zion, whom no man seeketh after. It certainly can be difficult to accept some of the sorrowful twists and turns that life brings our way. We may never understand the reasons for our particular trials this side of eternity, but one thing is clear – for those who love God, trials work for them, not against them (Romans 8:28). Moreover, God will give us the strength to endure any trial (Philippians 4:13). He wants us to trust and depend on Him. How we react to our trials, including the trial of sickness, reveals exactly what our faith is like. Sometimes it is hard to keep the faith but we must. God has a plan for everyone and everything. We must trust in him. His ways are far greater than ours. I'm glad he is the one who is in control.